"Don't Let Satan Trick You Into Twisting God's Word"
2 Timothy 4:3-4 3 For the time will come when they will not endure sound doctrine; but after their own lusts shall they heap to themselves teachers, having itching ears; 4 And they shall turn away their ears from the truth, and shall be turned unto fables. 2 Corinthians 11:14-15 14 And no marvel; for Satan himself is transformed into an angel of light. 15 Therefore it is no great thing if his ministers also be transformed as the ministers of righteousness; whose end shall be according to their works. Take one sheet of colored paper or color a piece of white paper. Trim it so you have a square. 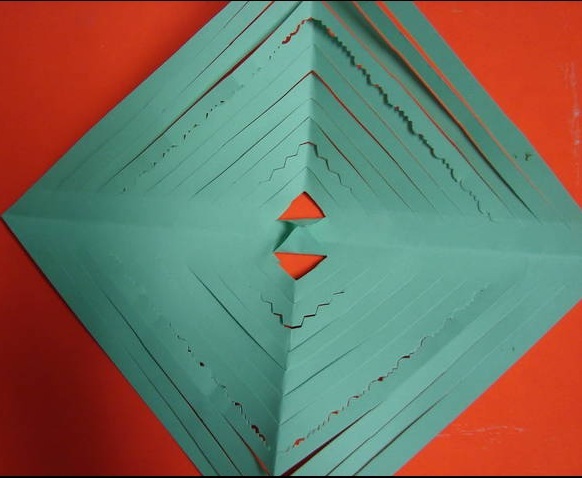 Fold the square to make a triangle. 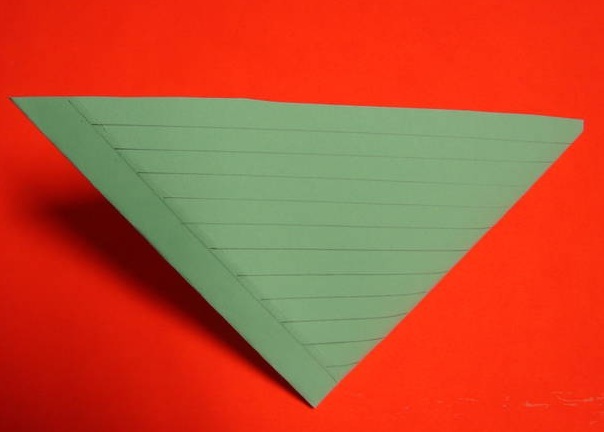 Fold the triangle again so you have a smaller triangle. Now, open up the paper. There will be a small uncut area in the middle. 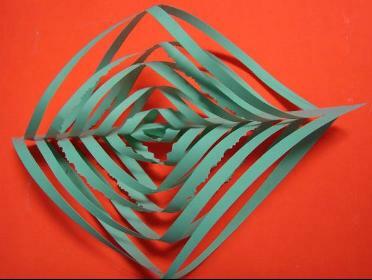 Fold that together and glue it to make the center of the ornament. Take the cut sections nearest the center and twist them toward you so the middles overlap. Glue that and hold it a few seconds to be sure it is secure. Take the next set of cut sections and twist them in the opposite direction, bringing the middles together and gluing them. Repeat the process alternating directions with each set of cut sections. Hole punch the top of the center and insert string or a hook for hanging. I cut a few of the lines with scalloped scissors, but that really did not work as well as I hoped. 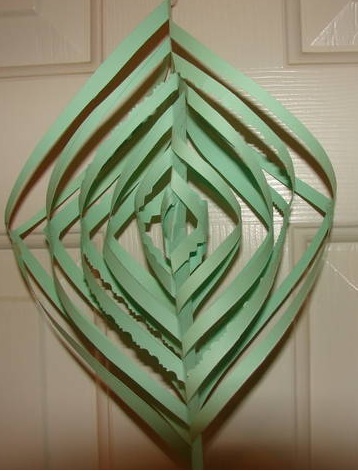 If you are using larger paper, you can also try skipping every third section to give the ornament a different look. You can make these as large or small as you want to fit your need. Try making tiny ones from square sticky notes.